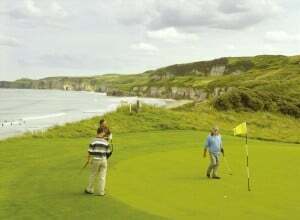 Ireland boasts some of the finest golf courses in the world. Featuring over 440 golf courses and home to a third of the world’s links, but did you know there are fewer than 200 true golf courses in the world & Ireland has 50 of them? Ireland lush windswept landscapes and fertile seascapes makes it one of golf’s most captivating destinations. As an added bonus. summer days are long – it’s light at 6.30am and doesn’t get dark until after 10pm, so you have plenty of playing time. Golf in Ireland is accessible to golfers of every skill level and every budget throughout all regions of the country, guests at the Ireland Golf Tour Operator Association awards heard recently, golfers come to play, so let us choose the best place to stay, as well as arrange how to get there. You won’t need a tuxedo in Ireland, but there are dress codes – smart casual works. With a wide range of golf vacation and golf travel packages available, you can play at some of Ireland’s world-renowned parkland and links golf courses from Mount Juliet to the K Club. Our team on the ground in Ireland will book the tee times-we can then offer a wide range of options for accommodation and transport alike.Golfing Holidays in Ireland were never so enjoyable and affordable. Come Share in the Golfing Magic! As the stage for the Solheim Cup in 2011 at Killeen Castle in County Meath, Ireland completes a Grand Slam for Irish Golf, which has staged all the world’s great team competitions such as the 2006 Ryder Cup, the Men’s World Cup/Canada Cup, the Walker Cup, & the Curtis Cup; as well as also being named the International Golf Destination of the Year 2004 by the International Association of Golf Tour Operators. Royal County Down, Dublin’s Portmarnock, Kildare’s Carton House, Wicklow’s Druids Glen Golf Resort, Killarney Golf Club, County Kerry, Kilkenny’s Mount Juliet, and Cork’s Fota Island have all hosted the Irish Open; while the exquisite Royal Portrush is the upcoming venue for The Open 2019. Traveling with some “non golfers”? For those of you who wish to experience different outdoor pursuits, we arrange a host of leisure activities such as Historical, Literary and Culinary tours, Angling, Horse riding and Cycling for you to enjoy. It’s the ideal way to round off your golfing vacation in Ireland. Choose from some of our most Popular Luxury Irish Golf Itineraries Below! With courses in some of the country’s most scenic areas, many of Ireland’s top golf resorts are also home to some of the country’s top fine-dining spots and premier wellness centers & spas, in locations known for their rich heritage and exceptionally compelling history. Tours can be customized to suit Group or Individual Travellers: Self-drive & Chauffeur drive options available; accommodation types can also be customized. Interested in Golf Tours Ireland?